Is Ipe the best decking material? Ipe, also known as ironwood and Brazilian walnut, is the most dense and durable hardwood available for building decks and porches. It has a harder surface and is more dense that Teak and Mahogany. Usually harvested in Brazil, it is also farm grown in Costa Rica and other tropical South-Central American countries. It has a beautiful reddish-brown color when installed. Ipe will turn a silver gray if not sealed looking similar in appearance to Teak. Here in Kansas City with our strong amount of sun it should be sealed yearly to maintain its natural color. Ipe has a Class A fire rating which is the same as concrete and steel! 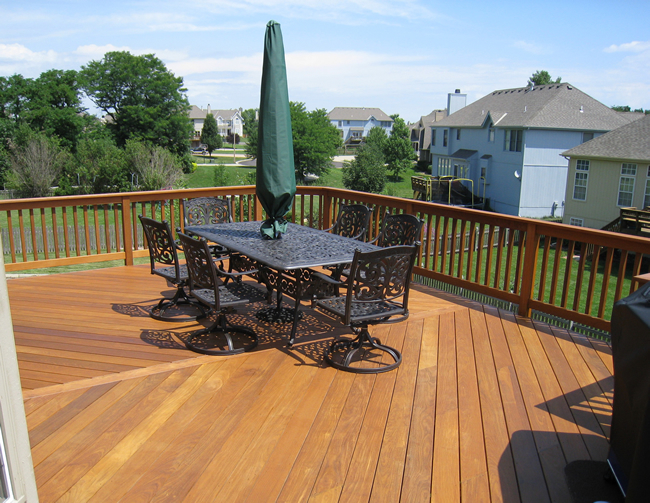 Because of its very dense nature it is much more resistant to rot and insect damage than the other popular decking choices in this area of cedar, pine, or redwood. 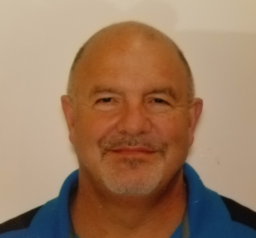 Although it can develop some cracks and checks, it is much more unlikely to do so than the other species mentioned, as well as less splintering. Too put the difference in perspective, a cubic foot of Ipe weighs 73 pounds while a cubic foot of Western red cedar weighs 23 pounds. Red oak is 43 pounds and Southern Yellow Pine is 36 pounds. 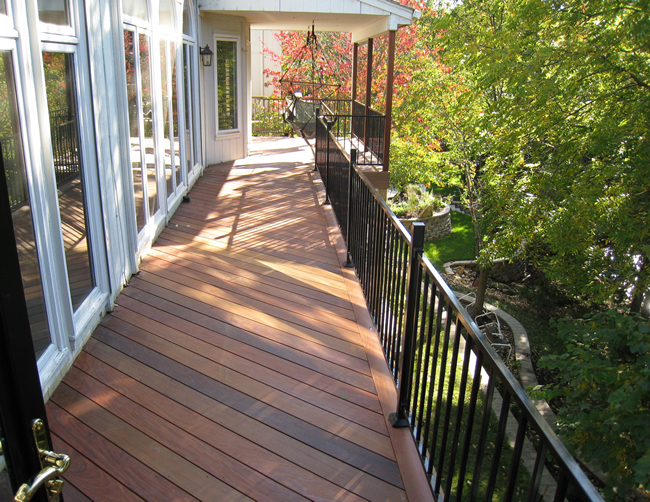 A typical deck made from Ipe will last 25-50 years while a cedar deck may last 12. The sidewalk in front of the Treasure Island casino in Las Vegas is even made from Ipe. It gets excessive wear and tear and is exposed to harsh weather conditions and holds up very well. See more Ipe deck photos! Many people like Ipe because it is a natural forest product as opposed to the composites made from plastics. It has a beautiful finished look. Ipe is attached with stainless steel screws or with hidden fasteners for a more polished finished appearance. As you can see from these pictures, if you want the best, choose Ipe. If you are considering adding an Ipe Brazilian hardwood deck to your Kansas City area home, give us a call for a free consultation at (913) 851-3325 or drop us an email. We look forward to working with you to design the perfect new outdoor living space for your home.